Invite friends to celebrate St. Patrick's Day by way of a traditional Irish feast. 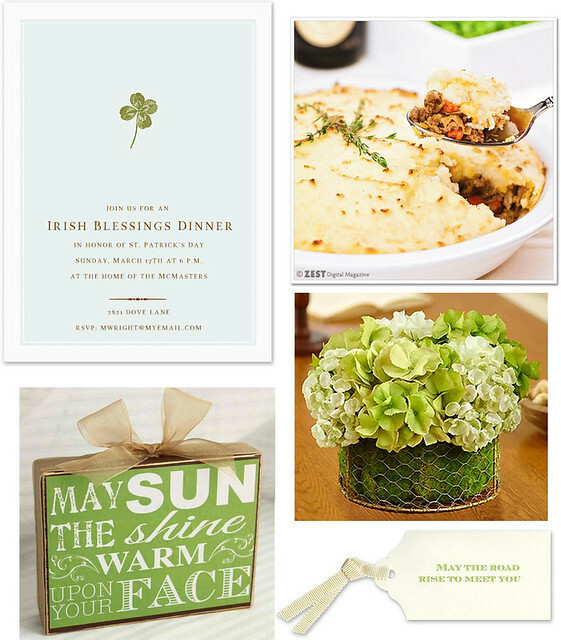 Cook traditional Irish fare like Shepherds Pie and decorate your space with snippets of Irish blessings. On your parting favor, attach a gift tag that reads "May the road rise up to meet you..."